Before he remade himself as the master spy known as Garbo, Juan Pujol was nothing more than a Barcelona poultry farmer. But as Garbo, he turned in a masterpiece of deception that changed the course of World War II. 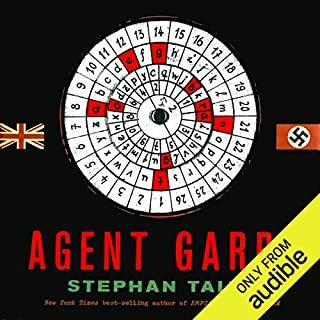 Posing as the Nazis’ only reliable spy inside England, he created an imaginary million-man army, invented armadas out of thin air, and brought a vast network of fictional subagents to life. The scheme culminated on June 6, 1944, when Garbo convinced the Germans that the Allied forces approaching Normandy were just a feint - the real invasion would come at Calais. In a masterful dual narrative that pits the heights of human ambition and achievement against the supremacy of nature, New York Times best-selling author Stephan Talty tells the story of a mighty ruler and a tiny microbe, antagonists whose struggle would shape the modern world. Early that year, bolstered by his successes, Napoleon turned his attentions toward Moscow, helming the largest invasion in human history. Surely, Tsar Alexander's outnumbered troops would crumble against this mighty force. But another powerful and ancient enemy awaited Napoleon's men in the Russian steppes. Virulent and swift, this microscopic foe would bring the emperor to his knees. Even as the Russians retreated before him in disarray, Napoleon found his army disappearing, his frantic doctors powerless to explain what had struck down a hundred thousand soldiers. The emperor's vaunted military brilliance suddenly seemed useless, and when the Russians put their own occupied capital to the torch, the campaign became a desperate race through the frozen landscape as troops continued to die by the thousands. Through it all, with tragic heroism, Napoleon's disease-ravaged, freezing, starving men somehow rallied, again and again, to cries of "Vive l'Empereur!" I loved this book so much I immediately went to Netflix and ordered the 2 available documentaries on Napoleon's 1812 invasion of Russia. Also tried to convince my wife that our family should trace Napoleon's route for a family vacation (still working on her). This is a part of history that I did not know well.....and I had no idea that typhus played such a major role in Napoleon's defeat. 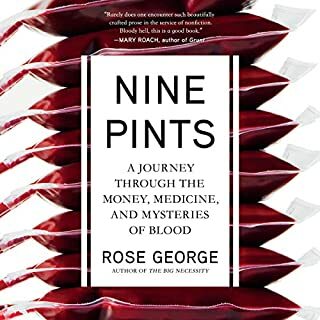 Books that combine disease and history are a particular love of mine, and this is one of the best examples. 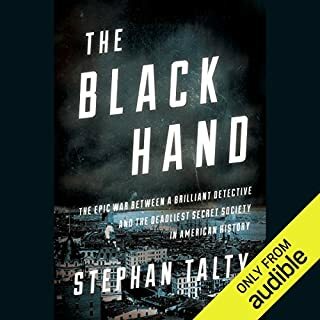 Talty is a wonderful writer, masterfully evoking the horrid details of the retreat from Moscow and the larger role that disease has had in shaping human history. Highly recommended. Every now and then I gamble on a book I don't think I'll love, and end up being pleasantly surprised. 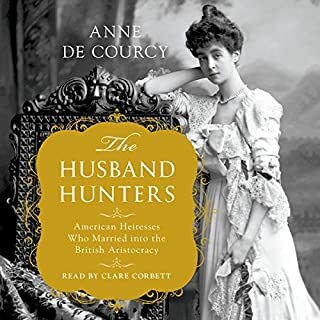 I can't tell you what drew me to this title, but I never would have expected to get so engrossed in a book about Napoleon, Russia, European war, doctor practices, and disease. The narrator is spot-on and this book is so well-written, you will be amazed. Overall, I think this book tells more about the history of Napoleon's invasion of Russia than about the science of typhus itself, but it's a very interesting book. 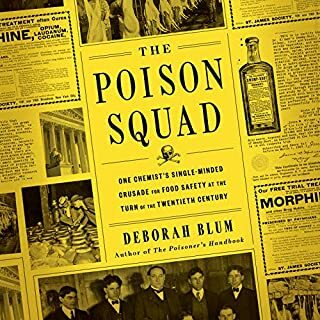 I can't help comparing it to "The Great Influenza" by John Barry, which masterly describes the historical context and the science of the 1918 flu pandemic. 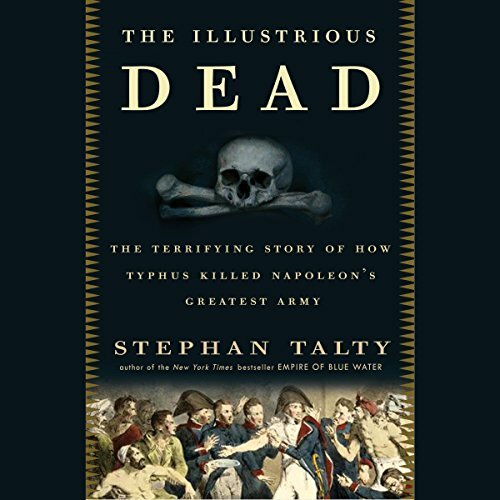 "The Illustrious Dead" is more a book about History than about science (or the history of medicine and the treatment of typhus), but I enjoyed the book and its narrator. A fascinating journey of science and history. I dont know how this author developed his expertise in both Napoleonic history and infectious disease, but the end result is a truly gripping book. The narrator must also be given a mention for a fantastic performance. He reads as though he is really engaged by this story, delivering a level of emotion deserved by this book. If you like the five minute preview then you wont be disappointed. On a large scale I enjoyed this book and the fascinating, and tragic, story of Napoleon’s Russian Expedition that was brought down by both the louse and poor tactics. What I found disappointing about the book was the amount of detail about those military tactics. The title does not indicate an analysis of military tactics, rather, an in depth look of the impact of typhus on the Grand Armee. Certainly if the military maneuvering were removed from the book it would be much shorter, and more to the point of the title. So this was an interesting listen. I learned a lot about warfare and the military in 1812, and about Napolean and his Russian campaign in general. Typhus and how it devastated armies was kind of the headliner here, but it was also amazing to hear about logistics, planning, and how a Russian Winter could affect everything. Oh yes--let's not forget a megalomanic general in the mix, too! I learned more about amputations from that era than I ever want to learn again and wonder if people 200 years from now will look at our medical practices of today and think we were barbaric! I would recommend this book to anyone with a general interest in history. Need the hard copy in my library now! A fascinating look at Napoleon's invasion of Russia; adds new depth and understanding. It also adds to the historical context of how disease affected history (there are many examples out there--this was especially well done). 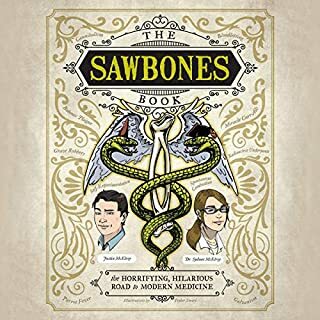 Great insight into medical practice of the period. As a historian I now want to purchase the hard copy to place in my library to review the details. It has been a long time since I studied the Napoleonic Wars, yet this book was enlightening and easy to follow. I am more interested in the history than the science so was happy to find a good balance between the two. At nine hours, believe it or not, this book seemed too short! I found myself wanting to know even more details about the battles and hardships of Napoleon's army. I guess that's another book though. As always, I find it a little difficult to imagine the maps of these places the troop movements. I don't know if the paper edition contains maps but these would be useful in following Napoleon's march. To be honest this book contains more of a historical review of the plague that took part in Napoleons downfall. But the narrator is excellent, and the book is one that i found hard to put down. Great historical review of the march to Moscow. no; I thought it focused on so much of the military tactic and never blended the story of typhus well. The typhus part of the story is amazing and could have been developed much better. Would you be willing to try another book from Stephan Talty? Why or why not? No; because I didn't like how incomplete the story felt to me. So many pieces were fascinating and could have made amazing stories but he presented them in such a loose end, tangent style that they just never matured; they were left green, unfinished and unripen. I am more interested in epidemiology than I am military tactic so this book was not a win for me. A military head would probably score this book much higher but I was really looking for 50% disease 50% military tactic and it was more like 10% disease 90% military tactic. I will say the last chapter was my absolute favorite and made the entire read worth it. It got into some fantastic facts of disease, typhus and bio-warfare. If the author could have integrated that last chapter into more of the book and at an expanded level this would have been a big win.